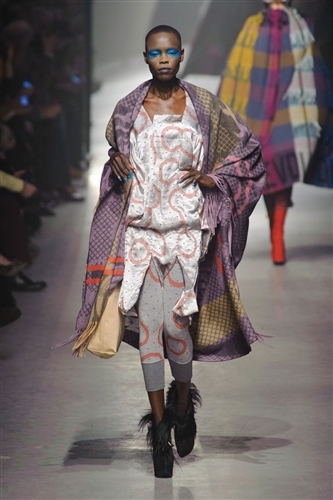 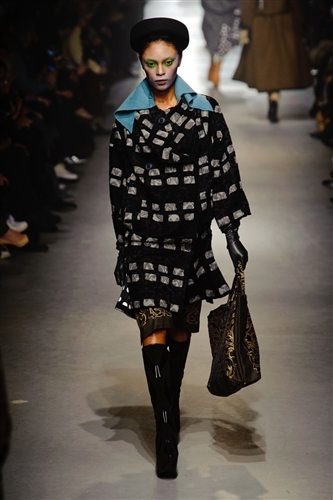 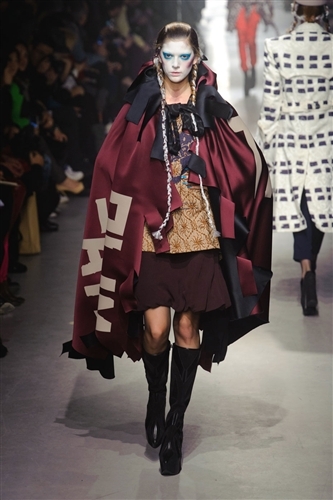 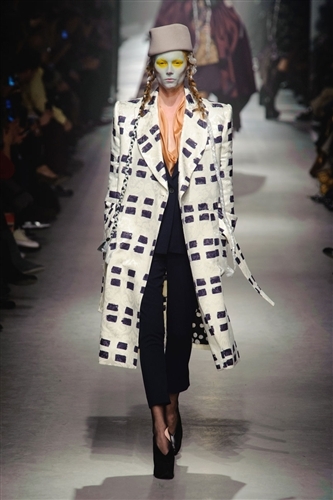 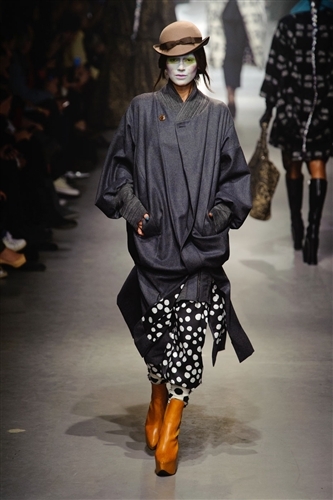 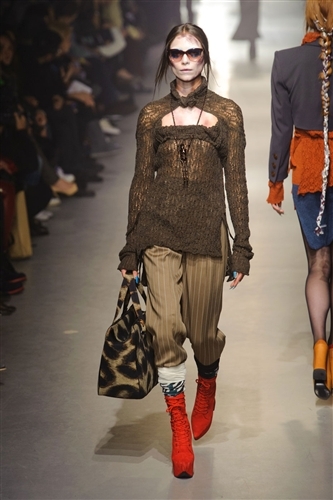 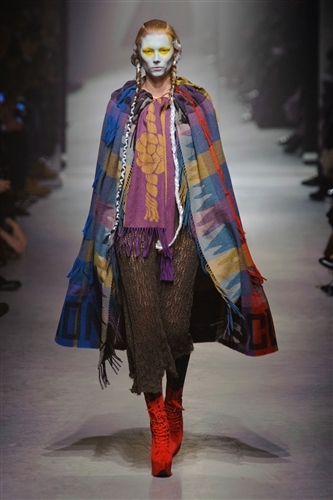 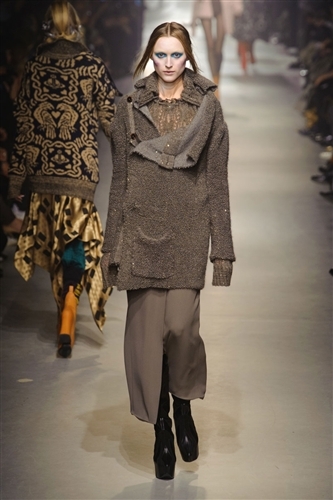 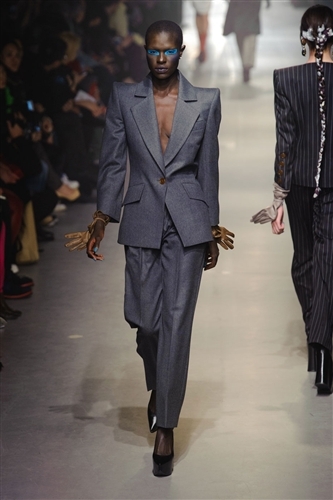 Vivienne Westwood became a fashion institution long ago and thanks to her strong political views we have become accustomed to expecting not just a show from her, but a rally to change our ways and focus on bigger issues in the world. 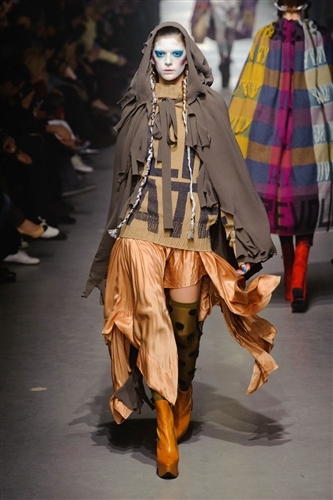 This season Vivienne Westwood threw her weight behind Greenpeace and their ‘Save the arctic’ campaign, details of which she gave to every guest. 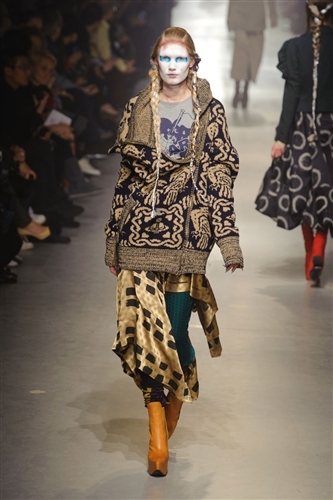 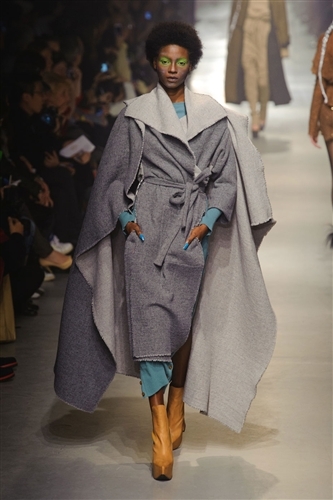 The aesthetic inspiration behind the designers latest collection came from illuminated medieval manuscripts, Vivienne is famous for her love of history and this time she explored the time of Crusaders returning to Europe. 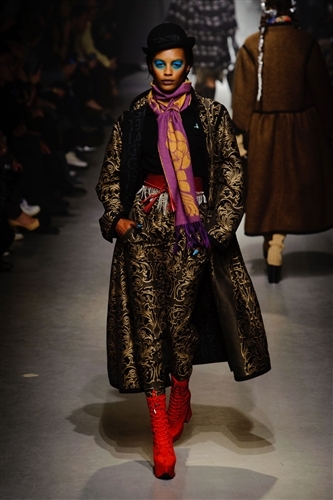 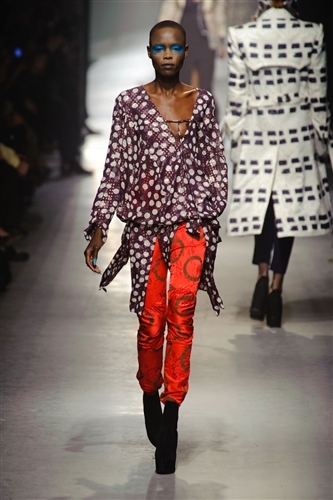 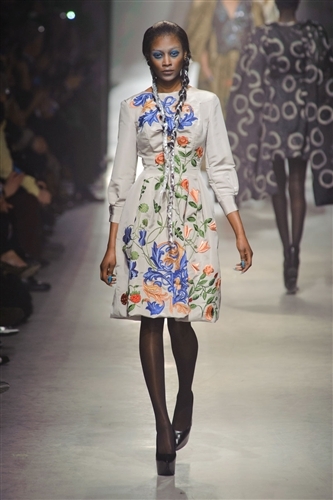 The collection, as they often do with Vivienne’s designs, ranged from sharply tailored pieces one minute to bohemian styles, loose and flowing the next. 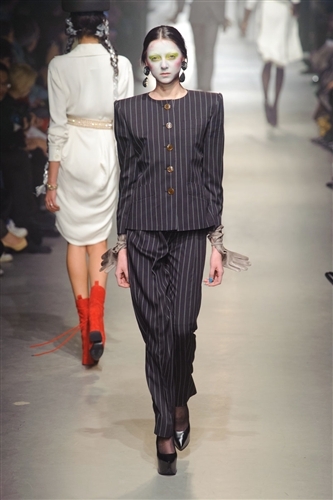 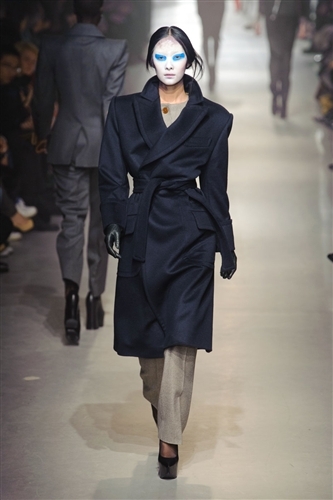 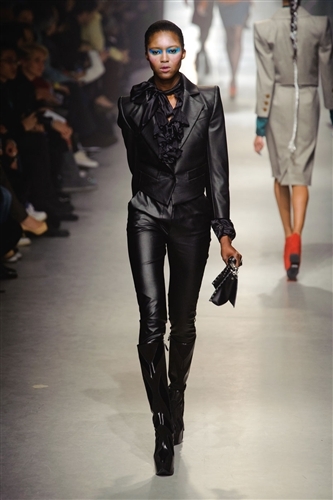 The contrast was sharp but worked as a strong styling of the models with dramatic makeup pulled the whole look together.